Sienna has always been my tiny dancer and I knew that we would have to enroll her in some sort of dance class when she was ready. 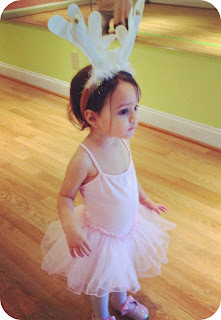 Fortunately, we found a ballet class in our area for her age group! She started when she was twenty months and has loved every minute of it since!